Generally speaking, if a limit order is routed to a particular exchange but is not marketable (i.e. cannot be executed) on that exchange, but is immediately marketable on another exchange, an SEC-mandate rule called Regulation NMS requires the exchange who initially received the order to route the order to an exchange where the order is marketable. For example, assume a limit order to buy 100 shares of XYZ at $50 is first routed to the Direct Edge Exchange, but that the best offer for XYZ at Direct Edge is $51. Because the order included the limiting instructions to buy XYZ at $50 or less, the order is not immediately marketable at Direct Edge. If, however, 100 shares of XYZ are immediately marketable at the NASDAQ (i.e. offered at the NASDAQ for $50 or less) at the time the order was entered, Regulation NMS requires the Direct Edge to route the order to the NASDAQ for execution. Flash trading is a controversial computerized trading practice offered by some stock exchanges wherein certain traders can utilize sophisticated, high-speed technology to view orders which are about to be routed from one exchange or trading platform (where the order is not initially immediately marketable) to another venue quoting at the best price (where the order is immediately marketable). Before the order is routed to an away market, information about the order is “flashed” or displayed (typically for less than 30 milliseconds) on the initial venue’s proprietary data feed to those traders who subscribe to feed. Put more succinctly, a “flash” order refers to an order that an exchange posts for a fraction of a second to a select group of traders before the order is published on a rival venue. Traders who are privy to flash order information have the advantage of recognizing market movement and sentiment before the broader market (that includes us!). Thus, one of the primary regulatory concerns in connection with flash trading is that these anointed preferred traders with ultrafast computer technology can trade ahead of these orders and artificially affect the price of a security. In other words, they will benefit from better pricing than you and me. For example, if a preferred trader sees (is flashed) a buy order for a large block of stocks he may buy “ahead” of this order benefitting from information that you and I didn’t have. This is called front running and is strictly prohibited by the SEC. Many institutional investors who were benefitting (so they thought!) from Bernie Madoff’s strategy concluded he was front running because they refused to believe that he was running a Ponzi scheme. Flash orders also benefit high frequency traders who seek to profit from liquidity rebates. Many exchanges and ECNs (Electronic Communication Networks) pay liquidity rebates (about one-third of a penny a share) to traders who “post liquidity.” This simply means that traders get paid to route non-marketable limit orders (orders which do not receive immediate executions) to the exchanges that offer such rebates. Because these limit orders are not immediately executed, the exchanges may post or quote these orders to the public, either as a bid or an offer. Not surprisingly, exchanges that offer liquidity rebates typically charge fees to traders who “take liquidity,” or execute trades against these posted limit orders. With a flash order, a trading firm can keep its order on a certain exchange for up to half a second without matching an existing buy or sell order on another exchange, which puts it in a position of a liquidity poster rather than a liquidity taker. This dynamic boosts the chance the flash-order trader will complete the trade on the exchange and obtain the rebate before the order is routed to an away market with a better price, in which case it will likely receive an immediate execution and be considered a liquidity taker, not a poster. In the above example, there is an inquiry as to whether there is a trader willing to take the other side of the $50 trade. Perhaps there is someone who wants to “get rid” of his shares quickly and does take the other side. The poster gets the rebate, the buyer gets his price and the exchange keeps the trade at home. It should now be readily apparent that traders aren’t the only ones who benefit from flash trading. Exchanges and ECNs that offer liquidity rebates attract order flow from traders seeking to profit from those rebates. The more limit orders an exchange can quote in a particular stock, the tighter the bid-ask spread is for that stock. A tighter spread means better prices, and exchanges that offer better prices attract even more contra-side order flow, and thus make more money from the resulting executions. In short, exchanges and ECNS utilize flash trading to maintain or increase market share, something the exchanges are constantly in a vigorous battle over. As of 2009, flash trading represented 2.8 percent of the 9 billion shares traded in the U.S. Recognizing the potential impact posed by flash trading to retail investors, Mary Shapiro, chairwoman of the S.E.C., stated “Flash orders may create a two-tiered market by allowing only selected participants to access information about the best available prices for listed securities.” For these reasons, and in the wake of the recent financial crisis, in September 2009 the S.E.C. proposed banning flash trading to balance the interests of long-term investors and short-term traders. As of the penning of this article, these proposals have not been implemented, though some venues have voluntarily ceased engaging in the practice. Accordingly, it appears that one of the silver linings to come out of this sub-prime/Bernie Madoff/Ponzi scheme debacle is that the SEC appears to be significantly more vigilant in protecting the rights of retail (Blue Collar) investors. If there was a silver lining in the economic cloud it was lower gas prices, European countries handling their debt issues and Japan showing signs of recovery from its disasters. BCI: Cautiously bullish but favoring predominantly in-the-money strikes because of the extreme volatility caused by the above issues. Excellent radio interview today. I really enjoyed it. The Weekly Report has been uploaded to the Premium website. Thanks for the site ” freestockcharts.com.” It works great! That site is my favorite…it gives you everything that most of the expensive sites or packages give you…and you, get it got free! Very interesting article. First time I’m hearing of any positives associated with flash trading. It seems to provide a constructive service if the flash traders don’t abuse it. You state that institutional investors felt that Madoff was “frontrunning” and that this was illegal. Can you explain what you mean by this and why the SEC didn’t take action? I can answer the first part of your question but not the second. Madoff ran a brokerage company in addition to his investment fund. Many hedge funds and “fund of funds” (one fund incorporating many funds) invested with Madoff because of the unusual results he was (seemingly) obtaining. These players are quite knowledgeable and realized that a 16% return was attainable in normal market conditions but not in down or bear markets. They realized that something wasn’t quite right but chose to ignore the obvious as they continued to collect these “profits”. Harry Markopolis, the Madoff whistleblower spoke with some these fund managers and tried to tell them that he was running a Ponzi Scheme but they felt that he was using his brokerage to get “advance notice” of large block trades and then trade ahead of these in his investment fund. This is illegal but not as aggregious as a Ponzi Scheme. The SEC? Unprepared? Unqualified? Couldn’t believe that the GREAT BERNIE would do anything illegal? Maybe a little of each. I am I reading this right? ARMH has a ITM July 27C which pays 7.28% and a downside risk of 4.12%? This appears to be a no brainer. Am I correct in this calculation? Oh, I did not put it through the calculator yet was doing it on paper. We do use the intrinsic value to “buy down” the cost of the stock. The calculator will do all these calculations for you. This is one of only a handful of stocks that passed our strict BCI screens this week despite the highly volatilie market environment. On April 21st, first quarter earnings was reported and boasted a revenues increase from $310M to $495M. Earnings per share rose from a loss of $0.04 to a gain of $0.50. Shares are nearing a 3-year high but the share price remains at a PE ratio of 12x forward eanings due to rising estimates. Fundamental evaluation also shows a positive price-to-book ratio of 2.9 and a return on equity ratio (ROE) of 16%. This stock has been on our premium watch list for 8 weeks, has an industry segment rank of “B” and a beta of 1.64. Check to see if this equity deserves a spot on your watch list. You are correct that there are 3 “categories” of strike prices. However, there may be more than 1 choice within each category and the single tab allows you to calculate up to 4 of these at one time. For example, for ARMH we see that the strike choices run in $1 increments and currently trades @ $28.14. The $28 strike would be considered the near-the-money choice. The $26 and $28 would be the closest strikes on either side of this. But you may also want to look at the $25 or the $29 or even a later date expiration. Bottom line: it gives you a little more flexibility in strike calculations should you be interested in more than the 3 basic choices. Thanks, never thought of adding different strike points. Great info and the spreadsheet is fantastic. I was looking at ARMH for July and noticed it popped up nicely today. Will continue to monitor this one. re: Keith’s question about the theory Madoff traded ahead…Madoff told everyone he was using his broker-delaer to execute the trades for his hedge fund. The theory was that Madoff was able to use his broker-dealer to see other non-hedge fund-related order flow, and then executed trades for his hedge fund ahead of that flow. In fact, I believe one of the pitches Madoff made for his hedge fund was that he would not charge a management fee, and instead make money from the commissions charged by executing trades through his BD. Can you offer your reasons for maintaining your “cautiously bullish” stance on the stock market given the recent volatility and depreciation. There are a huge number of factors to consider when evaluating the future of the stock market. Some of these factors I report on in these weekly journal articles. But I always come back to what I consider the most important statistics (in my view) which are earnings and revenues of the companies whose stock we are purchasing. In this area, I remain bullish. For example, in the recent earnings season, net income growth of the S&P 500 companies was a very strong 17%. Revenue growth was also bullish @ 8.5%. In addition, the revisions ratio for 2011 is a bullish 1.42 (many more positive than negative revisions) and even better for 2012 (1.67). Insitutional investors are willing to pay more for stocks that reflect these impressive earnings and revenues and that bodes well for the market in general. One more point: One of the reasons I remain “cautiously bullish” but favor in-the-money strikes is that historically the S&P 500 is a bit sluggish May through October. If an option expires worthless and you plan to use the same stock the next month which price do you use for the calculator, the original price or the current one? Can someone explain why my broker account shows a minus sign in front of the cash I received from selling an option. Shouldn’t it be a + sign? I would use the current price, as if you bought it today, if you want to be able to compare it to a different stock trade. If you are just making a new trade, and don’t care about a comparison, you can use your original price, just to be able to compare it to last month’s result. Are you sure the minus sign is in front of cash, or the value of the position. If you sell a call, you have a negative position. You will pay that amount to close the position at any given point in time. Long positions are shown as positive numbers and short positions are shown as negative numbers. If your cash position actually does show a negative it probably means that you have a margin balance which means you owe the broker that amount. This could be because the stock you bought exceeded the cash available, even after the option premium was credited to the account. I would call tha broker for an explanation. It does appear as a positive number in the cash balance but a negative in positions. Thanks for the explanation. It comes with experience. The part I like is, I sold it for $125. Now I can buy it back for $9, or wait until next week when it expires. Actually, sometimes, I prefer, I sold it for $125. Now I can buy it back for $300, or wait until expiration Friday and let it get called away. Do you have any advise for my June covered call positions? Four out of 5 of my positions are in the red. I have positions in EZPW (my one positive), PPO, RVBD, HOC, and PLCM. They were all fully passing selections from the weekly stock screen when I entered the positions. Since then the 4 losing positions have been up some days, but also down by as much as about 2 – 5%. I have set a maximum stop loss exit at -7%, which has not been hit by any of these positions. Is this simply a very bad month because the overall market has been so bad? When a stock goes down, the technicals erode. But as I evaluate the technicals to decide whether to exit, I’m not clear on how bad they should be before I exit the trade. I guess my main question is whether the bad technicals on these stocks should have triggered me to close any of these positions. I am still studying your second book. I think the answers I seek are in there, but I am having a hard time deciding when to exit a position based on technical indicators. Of course I don’t expect you to fully analyze my situation and tell me what to do. I only provided my positions for reference. I wonder if you have some general advise or considerations (or just condolences 🙁 ) for my situation. I imagine many people are in this same situation given the down market of late. When the market is volatile and declining (down 2% in May but in an overall uptrend) we start with stock and strike selection. 1- Selling an in-the-money strike will give you additional protection paid for by the option buyer. For example if a stock is trading @ $38, opt for the $35 strike, rather than the $40. Let’s say that generates $4. The time value is $1 or a 2.8% return. The protection of that time value is 7.8% ($3/$38). The breakeven is $34. 2- The 20%/10% guidelines discussed in the BCI methodology dictates buying back the option @ $0.80 or $0.40 depending on the time within the contract cycle. Since both market and stock technicals are generally bearish, we would tend to roll down (can mitigate losses or turn losses into gains) rather than look to hit a double or even sell the stock if it is falling precipitously or if we learned of negative news specific to this stock. It would also apply if you added specific stop-loss rules. If you can manage down cycles in the market, your future in cc writing is quite bright. I have been watching for positions to reach the 20%/10% guidelines. The 20% guideline may have been hit intraday on a couple of positions, but never at the time I was checking them. I have been more concerned about whether there was some other indicator that I was missing that would tell me that I needed to close the position because it had gone bad. But maybe the point is that I should focus more on the 20%/10% guidelines and put less emphasis on the technical indicators Am I on the right track with this thinking? Thanks a ton for sharing your expertise and experience! Rule number one: This is a money making business. Treat it as such. You may love your wife. You may love your dog. You may NOT love a stock. It is a tool for making money. If the tool won’t make you money, sell it. Buy another tool. There are a couple of views that traders/investors use to make your decision. One of your decision points should be “can I use this money to make a better investment, today?”. Last, but certainly not least, is setting a loss limit that you will stick to. We can make 1% to 3% a month. If we can do this 7, or 8, times out of 10, we will come out ahead, BUT, only if we pick a terminal loss point. Here’s how it works. You enter a position. Your “kill it” point is a loss of 7.5%. If we are taling about a covered call position, we are talking an overall loss, not on one leg, or the other. If you invested a net $10,000 in the trade, and the overall trade is down $750, you get out. You do not recalculate it. You do not look for an excuse to use 8%. You do not call Jim Cramer and ask if you should hang onto it. You set your “kill it and move on” level. Kill it, and move on. It is a business decision. Take your $9,250 and find another trade that will make you some money. If you are inclined to hold onto the stock, run the screen tests. If you would not buy the stock based on the screens, you should not continue to hold onto it. Also, check the earnings reports. I held on for a second month without checking the earnings report date, and I paid dearly for it. Just treat the stock today as if it is a new purchase. Look to see if you can find a call with a decent return, based on today’s price. Think about it. If you were looking at a stock you did not own, which passed all of the screens, but didn’t have an option that offered a reasonable return, you would not buy the stock. So, if you can’t get a reasonable premium for a call for this stock, today, at this price, you would not buy it. If that is the case, then do not continue to own it. Move on. There are many other stocks out there which may offer a better opportunity for those dollars. Focus on the dollars. Will those dollars make you more invested in another stock, or remaining with this one? It’s not your wife. It’s not your dog. It’s business. As Alan likes to say, those dollars are soldiers. You send them out into battle with the intent that they bring back some prisoners. If they aren’t bringing in any prisoners, call them back, and send them out again, in a different direction. I have seen some posts and also read about “Self-directed IRA’s” in Alan’s first book. Could someone please let me know, which brokerage firms offers this type of retirement accounts ? What is the tax treatment and deduction limit for such accounts?I recently learnt that for traditional IRA’s if you and your partner file married filing jointly, the IRA deduction begins to phase out when you reach $89,000 and tops out at $109,000 AGI. Does the same income limits hold good for self-directed IRA’s as well? In addition to covered calls, can we trade credit spreads (thanks to Owen for explaining this strategy in detail some months back, which I never knew about) in such accounts? First, contrary to popular jargon, ANY Individual Retirement Account is self-directed. You put the money in. You pick decide what the money is invested in. Now, that said, the expression “self-directed IRA” is being bandied about most often when people discuss using your IRA to invest in real estate, notes, closely held businesses, etc. You need an experienced and cooperative IRA custodian and there are not that many of them. I am not going to delve into this particular aspect of IRA investing for two reasons. 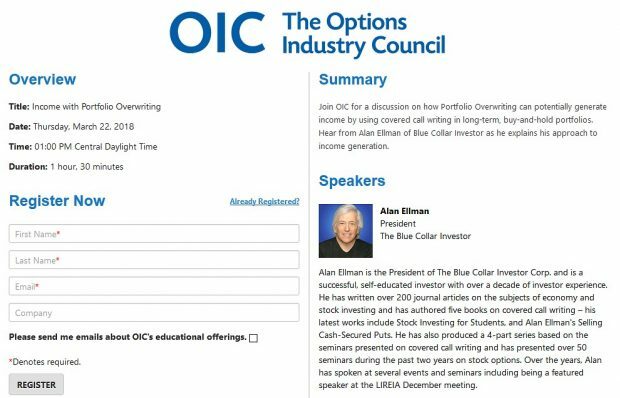 One, this is an option trading discussion board. Two, it is very well covered in a book called IRA Wealth, by Patrick W. Rice, which is available at Barnes & Noble and Amazon for around $18. Now, about stock and option trading. You are “self-directing” your broker to make your trades for you. Nobody is investing for you. Even if you pick a popular mutual fund, you made the choice of funds. Hence, the confusion over the term “self-directed”. There are currently two types of Individual Retirement Accounts which you can contribute money to, a conventional IRA and a ROTH IRA. The only requirement to be able to make an IRA contribution is that it must be EARNED income. Your tax return must show wages, or self-employment income of some sort. Rental income, and dividends and interest, do not qualify for an IRA contribution. There are limitations on conventional IRA contribution DEDUCTIONS if you or your spouse is a participant in a retirement plan at work. If neither of you has a retirement plan then the income limit does not apply. I urge everyone with an IRA, or who wants to open an IRA, go to the IRS website and download Publication 590. I use it as a reference all the time. The rules change so I get the new one every year. The issue over what you can invest in is pretty much determined by the custodian. Many banks will only let you “invest” in a certificate of deposit. Some brokers will not let you trade options, and some will only allow covered calls. A few custodians will allow you to buy a house and rent it out, invest in a real estate partnership, or a local business. Basically, the IRA investment limitations are very few. The Internal Revenue Code says you can’t invest in collectables, such as artwork. You cannot invest in gold or silver bullion, except bullion coins issued by the US Treasury. And, you cannot use the IRA assets personally, or as collateral for a loan. That is pertty much it. There is no list of what you CAN invest in. There is only a list of what you CANNOT invest in. The rest is up to you to find a custodian who will allow you to do what you want. Charles Schwab currently does not allow option spreads in an IRA account. I am told it is coming by the end of the year, but it doesn’t matter. Options Express will allow spreads, and Schwab is not going to screw it up when the merger is complete. When a company announces a split does that have a positive, negative or no impact on the price in the short term? How important is this for selecting stocks for covered calls? Schwab will be opening IRAs to spread trading later this year. I have been participating in a 2 year trial of the program. Due to the VERY CLOSE monitoring of the program manually, it has been limited to approx. 150 participants (+/-). Each trade is manually reviewed from open to close…with every step in-between checked and monitored. I am told that the program will be limited to only 1 IRA account per person…not sure of household…and that it will launch later this year. This program launch has been delayed but I don’t know why. I was on a waiting list for almost a year before I got into the pilot. So far, every trade was smooth without any problem of any kind. Schwab is taking its’ time to make sure they have a top notch program when they roll it out. BTW, I am not affiliated with them in any way…just a happy customer. This week’s report of top-performing ETFs has been uploaded to your premium site. If a stock has passed the strict BCI screens and then announces a split, I view it as another positive and an additional reason to give this equity serious consideration. This is because when the Board of Directors decided on the split (approved by share holders) it is usually due to price appreciation and the split will allow retail investors an opportunity to buy shares in 100 lot increments. Remember, “the trend is your friend”. If the stock is not on your BCI watch list, check the chart to make sure that the board did not approve a split simply to attract attention to an underforming equity. There are still some investors who believe that a stock will move back to its original price after a split. Research has proven this untrue. My intention is just to let you know that I am trying to be back online, with this post. My stroke seems to be behind me, but to advise and for whatever it is worth, I am not out of the woods yet. I have been looking in periodically of late, tho. Speaking for the entire BCI community it’s a treat to hear from you. Speaking for me personally, you made my day! Don, wishing you a speedy and full recovery! Thanks for your reply. I guess your underlying message is that since I asked the same question you gave me the same answer. It wasn’t my intent to ask the same question, but rather to ask something more specific on this same topic. To me really the only question of whether we can become success in covered calls is how we handle the losing positions. Everything in stock and option selection is so well laid out by the BCI system that it is difficult to do it wrong. But handling losing positions is something I am still struggling with and this month gave me a lot of opportunity to think about and practice handling them. And I will keep doing this until I am consistently successful. Sorry, Mark. I wasn’t sure if today’s post was from the same Mark. Remember the opening scenes in the movie “War Games”? The human element should not be trusted. Well, if you create a trading plan, and stick to it, you will more likely be successful. There are many ways to create your own plan, but you should have one. You can set a loss limit that you will not exceed for all trades. You can set a price to get out for any trade, but set it at the time you open the position. It just shouldn’t be “One more minute, one more hour, it’ll turn around, I’m sure it will”. Welcome back. Great to hear from you. Many retail investors are attracted to low-priced equities called “penny stocks” that usually trade under $5 and have low market capitalizations (# outstanding shares x price per share). Most fall under the heading of “microcaps” where the capitalization is between $50M and $300M. Some fall into an even smaller category called “nanocaps” that trade under $50M. These so-called penny stocks are speculative and risky but tempting because of the number of shares a small amount of cash can buy. This is a trap we should not fall into. “You are a valued customer, and we thank you for trusting us with your brokerage needs. We truly care about helping you protect your investment account and financial security, so we’re letting you know about the risks associated with microcap securities and a change that will affect these stocks. Companies associated with the stocks may have no assets or operations. Track records for the companies are often limited or unproven. Products and services from these companies may only be in the development stages. Because of these reasons, USAA will not trade, transfer-in or accept certain microcap stocks beginning June 24, 2011”. I wonder how many hard-working retail investors got burnt before USAA was motivated to make this decision. I’m impressed! Wow. Good thing Citibank did a reverse split so they are no longer a “penny stock”. Now, if they can just find a couple of high school kids who can design a good computer protection system against hackers…. I just did a search on Investools for covered calls and VXX came up. I researched it and understand it is an ETN based on VIX short term futures. Its is very liquid and offers a nice premium. Over its history since 1/09 it has plunged from 320 to below 20. It now looks like it has bottomed and is beginning to move up slowly. Its 3-day RSI is above 60. Is this a good potential covered call candidate? Whichever underlying you select for your covered call positions we must all understand its nature and behavior so we can react appropriately should the trade turn against us. VXX is an ETN (exchange-traded note) which is the largest and most successful VIX product so we must fully understand what the VIX is. I have always presented the VIX as a measure of stock market volatility known as the “investor fear index”. There is actually more to it than that. VIX is a weighted mix of the prices of S&P 500 index options which then determine implied volatility….how much are investors willing to pay to buy or sell the S&P 500? The more they are willing to pay, the higher the IV and the greater the uncertainty. Recently I have created charts showing the unpredictability of the VIX. VXX holds long positions in 1st and 2nd month VIX futures. Generally, for covered call writing I prefer to analyze the underlying to the max before accepting it onto my watch list. That includes fundamental, technical and common sense analysis. With VXX we are betting on IV and that’s about it. That’s not enough for me but it does explain those juicy premiums. VIX futures also have features we are not familiar with like unusual expiration dates and how the associated products don’t precisley relflect spot VIX pricing. In my view, this is a product best suited for sophisticated investors or retail investors who have a full understanding and are experienced with these products. There are so many great stocks and ETFs we can use for covered call writing why complicate matters with more complicated products?